Although it's gloomy when rainy season comes around, it's also considered hydrangea season, which is the perfect time to find these stunning flowers in full bloom. Read on below to find some of the best places to spot hydrangeas in and around Tokyo! There are plenty of places in Tokyo where you can spot beautiful hydrangeas, and one of them is at the Takahatafudoson Kongo-ji Temple in Hino, near Takahatafudo Station. There are over 250 types of hydrangeas planted in the area! It's said that Horinouchi Myoho-ji, in Suginami (near Shin-Koenji Station), was just as famous as Senso-ji Temple during the Edo Period. 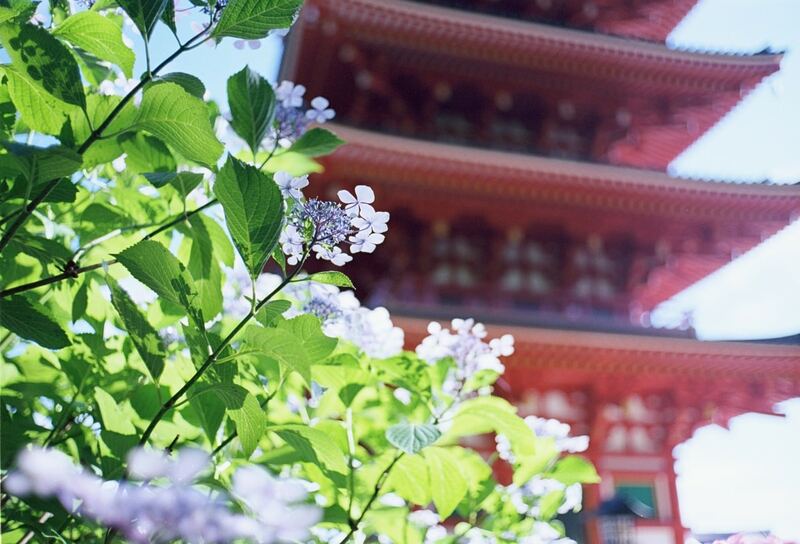 Words cant do justice to the beauty of the historic buildings contrasted with the hydrangeas at this temple. You'll have to see for yourself! The Hakusan Shrine, near Hakusan Station, has a history that dates back to the Tenryaku Era (947 - 957), when it was erected. 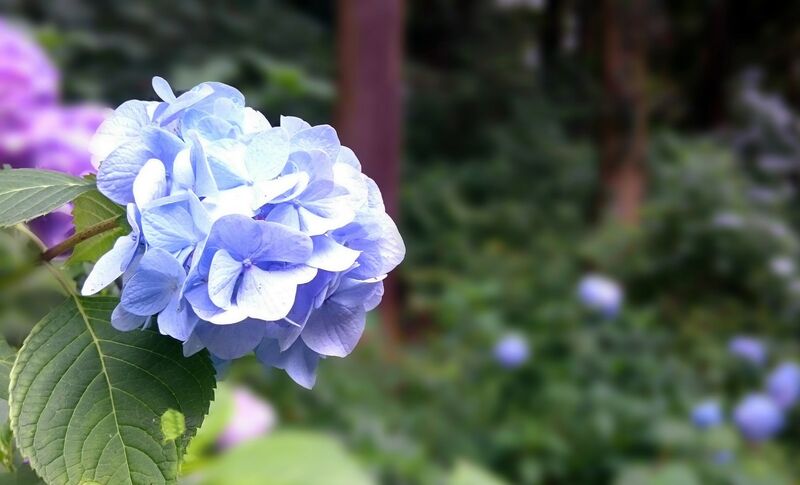 These days its claim to fame is the Bunkyo Hydrangea Festival held in June. Every year Toshimaen Amusement Park in Nerima—a short walk from Toshimaen Station—holds their Hydrangea Festival, which is accompanied by a beautiful nighttime illumination. If you leisurely stroll around the residential area near Nishi Shinjuku Station, you're sure to spot many types of hydrangeas in all their multi-colored glory. But that's not all! There are some bonus spots from the Greater Tokyo area! In addition to the well-known temples such as Meigetsu-in, Hase-dera and Joju-in, there are plenty of other great hydrangea viewing spots scattered throughout Kamakura. Even in rainy season, a quiet walk in Kamakura is a pleasant way to spend the day. Start at Zuisen-ji, head to Kamakura-gu Shrine and end at Kakuon-ji—the hydrangeas along this route are absolutely stunning. Although there are beautiful sites to view from this train every season, early summer is the perfect time to enjoy the stunning hydrangeas alongside the tracks between Hakone-Yumoto Station and Gora Station. Read the original article in Japanese from All About via the link below.